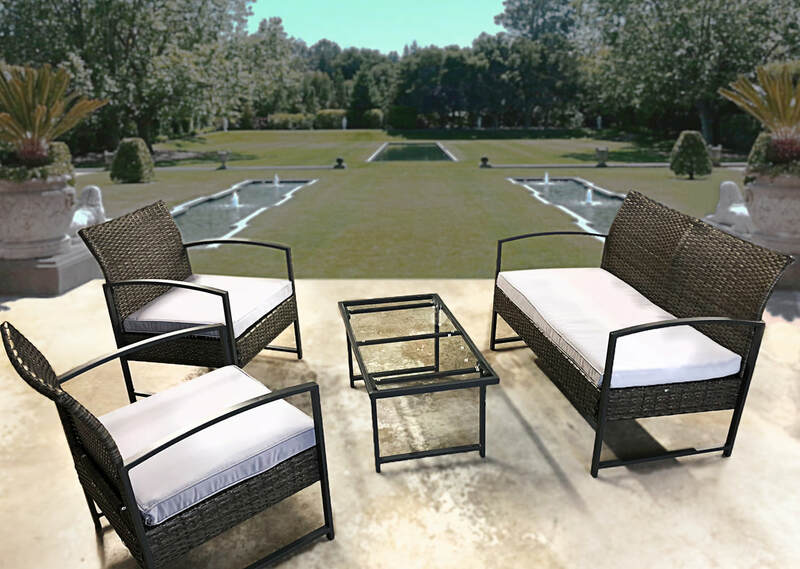 ​streamline silhouette and woven of high quality man-made fibers, this set has both style and durability. 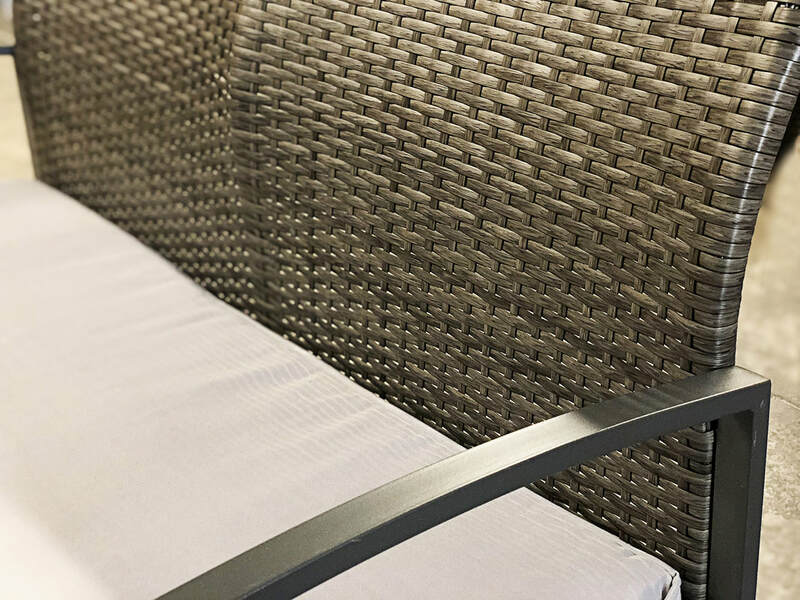 the seat cushion fabric is designed to resist the weather elements and stay beautiful through out years of use. 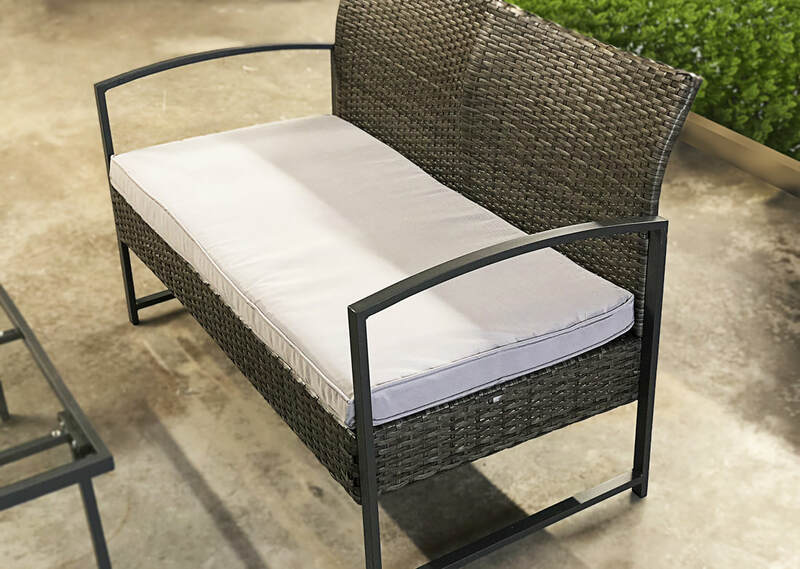 it is perfect for pool side, deck, or patio. 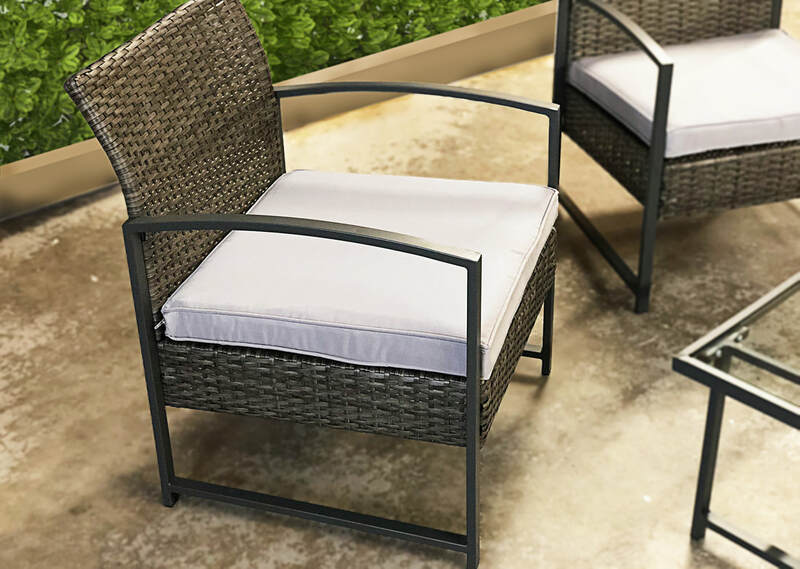 dark gray wicker with gray cushions.